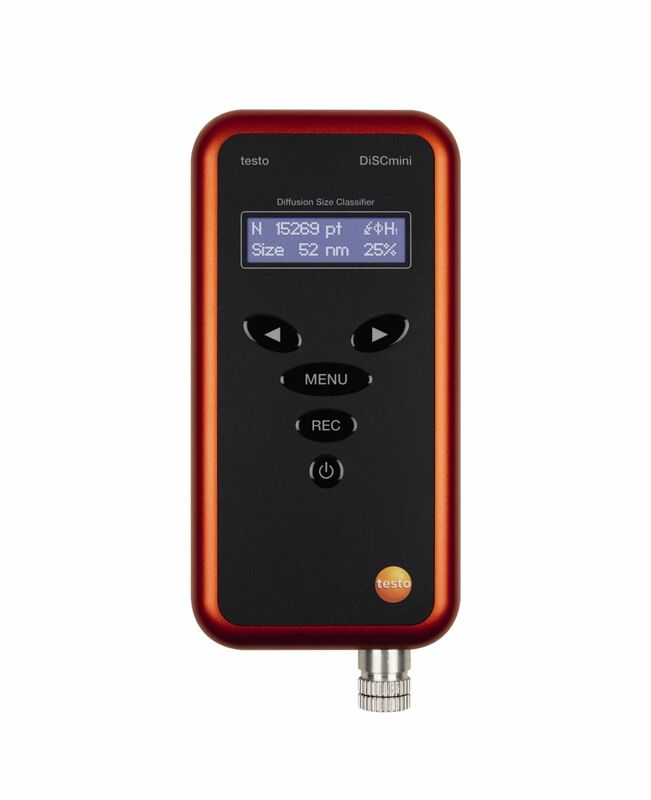 The hand-held particle counter testo DiSCmini measures the number and average diameter of nanoparticles efficiently, based on the electrical charging of aerosols. For example, with the testo DiSCmini you can reliably monitor human exposure to diesel soot, welding fumes or industrial nanoparticles. 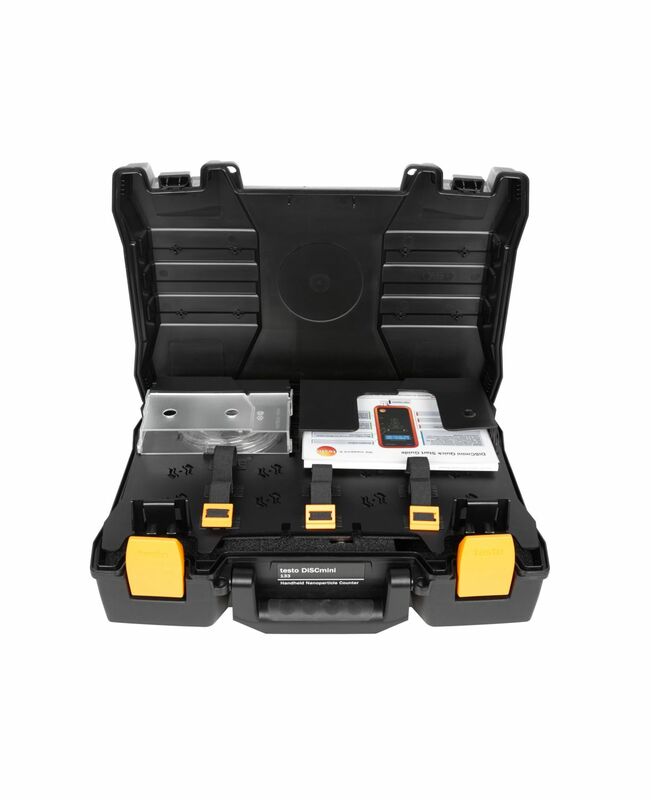 With the handy testo DiSCmini, you can take your measurements anywhere. Previous studies describe the negative impacts of ultrafine particles on health based on vague benchmarks. With the testo DiSCmini, it is now possible to measure the particle number concentration and surface area of occurent nanoparticles, LDSA (Lung Deposited Surface Area). Typical applications of the DiSCmini include the determination of personal exposure in particle-contaminated workplaces (for example due to diesel soot, welding fumes and industrial nanoparticles) or in vulnerable groups (such as asthmatics or COPD patients). In addition to this, the testo DiSCmini offers various application possibilities in different disciplines of scientific research. 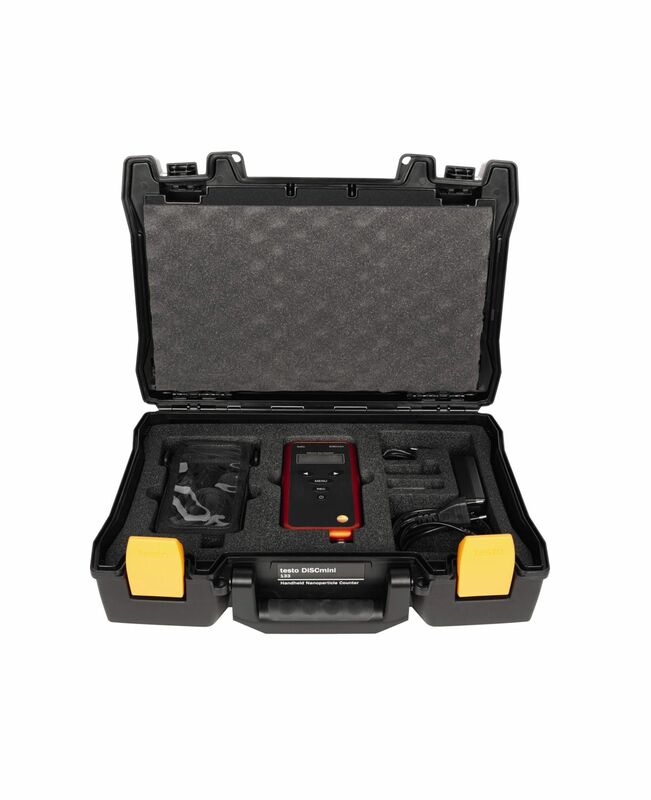 The small size of the testo DiSCmini makes the instrument particularly suitable for mobile on-site measuring tasks and the set-up of networks for the monitoring of ambient air. Thanks to the measurement rate with a time resolution of 1 Hz for all three measurement parameters, you also identify quick alterations in the aerosol number. Handheld nanoparticle counter testo DiSCmini including transport case, carry bag, SD card and SD card reader, set for extending of the sample inlet, Mascot battery charger, country-specific power cord and calibration certificate. The evaluated particle concentration depends on the particle size distribution and the mean measurement time.